Still looking for that perfect gift for Mother’s Day on Sunday? Both Walmart and Best Buy have some great deals on iOS devices. First up, Walmart is offering $30 off of both generations of 16GB Wi-Fi iPad mini. So you’ll be paying $369 for the iPad mini with Retina Display and $269 for the first-generation tablet. That deal is good online and at local stores. Unfortunately, the 32, 64, and 128GB tablets are still the regular price. 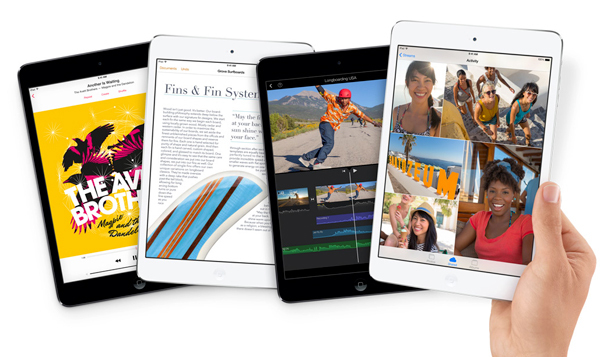 There are no price cuts for LTE-enabled iPad mini variants, either. Best Buy is also the place to go if you’re looking to trade-in an older iPhone for an iPhone 5s or iPhone 5c. If your handset is in working condition, and has no water damage or screen cracks, you can walk out with a new iPhone for next to nothing, at most. The retailer is offering at least a $100 gift card for an iPhone 4 trade-in, a $150 gift card for a working iPhone 4s, and a $200 credit for an iPhone 5. 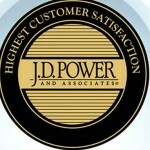 Depending on your handset’s condition, you could receive even more. At least for Verizon and Sprint subscribers, both handsets are on sale this week, making the deal even that much sweeter. More information about the offer can be found on Best Buy’s site. You’ll obviously have to sign-up for a new, two-year contract no matter what carrier you select. For other recent news today, see: Apple Hires Nokia PureView Expert To Work On Future iPhone Cameras, Will Apple Stores Soon Feature A Touch ID Based Payment System?, and Apple To Launch Its 4.7-Inch iPhone 6 In August, 5.5-Inch Model In September? 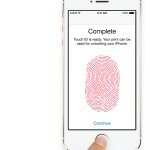 Will Apple Stores Soon Feature A Touch ID Based Payment System?